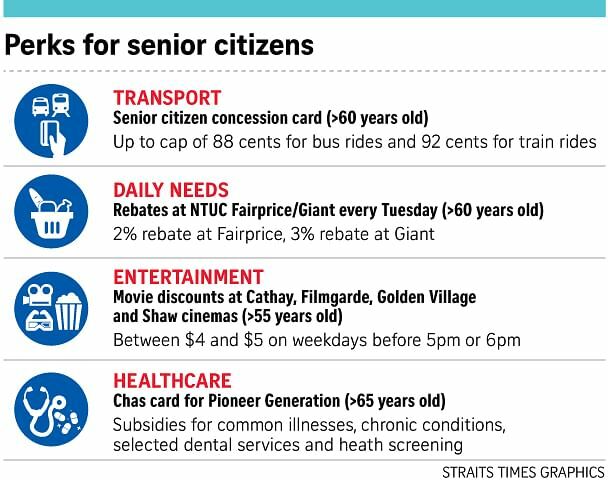 My friend found out - only when he was 62 - that he was eligible for a concession card which gives big discounts on travel on Singapore's public transport system. Well, he says, the maximum fare is 88 cents - never mind the distance travelled, which means a saving of more than 50 per cent. So he now drives as little as possible and will not shop for a replacement car when his current car's certificate of entitlement (COE) expires in two years' time. He has stopped driving to meetings outside the office, using the card to save further on parking, fuel and Electronic Road Pricing charges. I will follow his example when I am eligible for the card, which is available to those 60 and above. It is comforting to know that when one becomes older and retirement is not too far off - and thoughts surface of how to rein in spending but without necessarily lowering one's living standards too drastically - there are such money-saving options that can be tapped. It is also true that not many people are familiar with these deals - and you do not have to wait until you have retired or reach age 60 since many deals kick in at 55. And with the country ageing rapidly, a growing pool of businesses have cottoned onto the potential of the silver economy and rolled out elder-friendly promotions - though some are ad-hoc and many are rarely, if ever, advertised. It can be frustrating, to say the least, to track down these deals, and at times I wonder if this is an opportunity for someone to create a portal that links up businesses with older folks, a la Uber or Airbnb. This is what you could be missing out on. 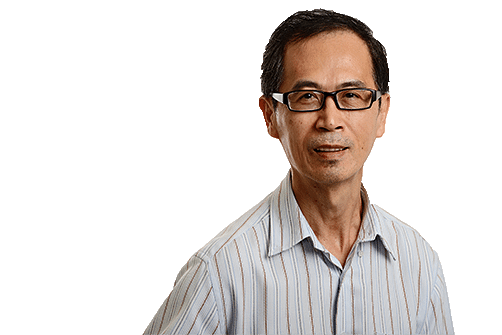 For example, especially for the men, unless they go grocery shopping, I bet few realise that supermarket chains - from FairPrice and Sheng Siong to Prime and Giant - roll out perks for older customers. FairPrice gives a 2 per cent rebate to those 60 and above on Tuesdays while Giant dangles a 3 per cent discount. Some financial institutions pay slightly more to the silver-haired crowd. Hong Leong Finance, for example, chips in with 0.125 percentage point more for deposits of 12 months or longer. And some attractions, such as museums run by the National Heritage Board, allow seniors to enter for free. The bottom line is that you must do some homework to know who's pampering whom out there. I certainly had no inkling until early this year that the cinema chains "doted" on more mature customers. If you are 55 and above, Filmgarde, Golden Village, Cathay and Shaw cinemas charge from $4 to $5 for weekday shows screened before 5pm. That's a blockbuster of a bargain, given that tickets can go for $12 upwards. Indeed, I recently caught four movies - Long Long Time Ago (Parts 1 and 2), 10 Cloverfield Lane and Chongqing Hot Pot - paying that concessionary rate. I had a blast. My friends tell me that the polyclinic should be considered as a first recourse even if you are covered by a company plan and have access to a medical specialist, with the tab picked up or subsidised heavily by insurance. Better to opt for a doctor in a government hospital which will charge less, and more importantly, he can continue to be your point man after you retire - armed with an earlier and longer knowledge of your medical condition. I think that is good advice, and certainly drugs and treatments are far easier on the wallet compared to what private clinics charge. Still, more can be done to earn the custom of older customers. For example, why not let a couple - but with one person who may not have hit the stipulated age requirement yet - enjoy the discount for both? Why limit eligible folks to certain times of the day to tap the perks? Surely, it is better to fill up the place than have it half-full? While the dollars and cents of retirement - or impending retirement - need to be watched over carefully, it is also true that you will become far richer, at least in the time department. It is hard to put a value on the time you will enjoy, say, with your grandchildren or engaged in volunteer activities that will also enrich others' lives and the community. Or, if you prefer, and are business-minded and entrepreneurial in nature, you may want to spend time to flesh out the idea mentioned earlier - of developing a portal that can better connect businesses and the growing cohort of older Singaporeans.